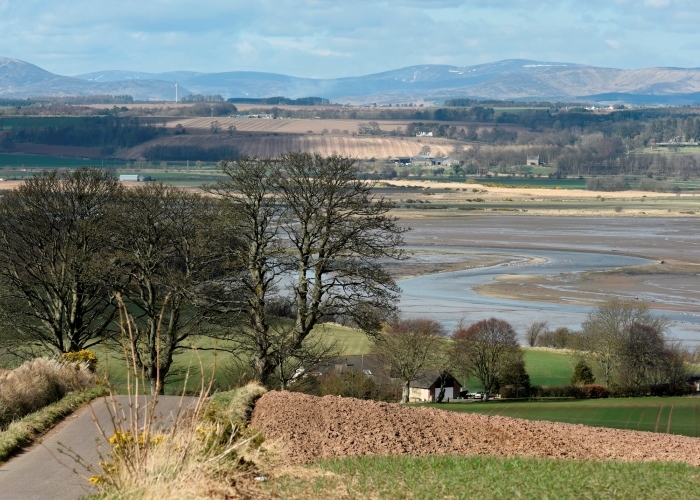 Visit Angus and you visit fascinating history, stunning countryside and world-class food. But there’s another reason to visit the place – one that brings all three of those things together. We’re talking about our county’s beautiful gardens. From spectacular castle grounds to private spaces, we’ve come up with a blooming gorgeous guide to Angus that will make you stop and smell the roses – literally. As the setting for Macbeth and the beloved childhood home of the Queen Mother, Glamis Castle isn’t just bursting with history, it’s jam-packed with spectacular gardens. Choose from the terraces and gazebos of the Italian Garden, designed more than a century ago, to the newly redeveloped walled garden. From a mile-long spectacle of daffodils in the Spring to apple picking in the Autumn, there are many reasons to keep coming back. Dunninald Castle near Montrose boasts another excellent walled garden (you can even buy their plants, fruit and veggies) as well as a wild garden and woods. Set in 100 acres and close to the magnificent Lunan Bay beach, if you’re looking for a fairytale setting this place ticks all the boxes. Did you know? Walled gardens were popular in country houses for centuries, their walls giving protection from the elements and predators, and the micro-climates created within them meaning they were perfect spots for growing food. Let’s face it – everyone’s a photographer now thanks to smart phones and Instagram. But a favourite of professional snappers and magazine editors is Pitmuies Gardens. A picture of opulence surrounding the historic Pitmuies House, this botanical marvel dates back to the 18th century with separate garden areas dedicated to different themes. Even the names are a draw – Alpine Meadow, Mesopotamia and The Vinny Garden to name just a few. If you have little ones, a trip on the Caledonian Railway is a novel way to get your garden fix and keep the kids entertained at the same time. A volunteer-run heritage railway, Caledonian runs steam and diesel trains from Brechin to the Bridge of Dun. From there you can travel to the House of Dun, a National Trust property and Georgian masterpiece surrounded by spectacular formal gardens and acres of woodland. Highly recommended are Steam Saturdays and Sundays. If you’re B&Bing, choose a place where the blooms are paid as much attention as the rooms. At Alexandra Lodge, a classic B&B in the town of Edzell, you can breakfast in an original oak panelled dining room overlooking the lodge’s stunning garden. 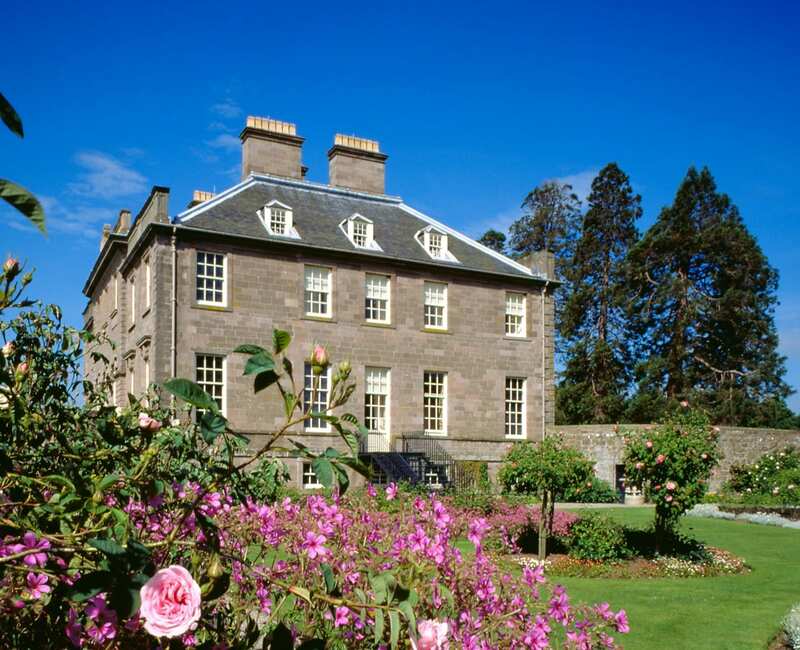 Cortachy House is a perfect base for exploring the historic town of Kirriemuir and gorgeous surrounding countryside. The house is like a portal to another time, decked out in porcelain and floral prints and there are south facing terraced lawns and the Angus Glens on the doorstep. 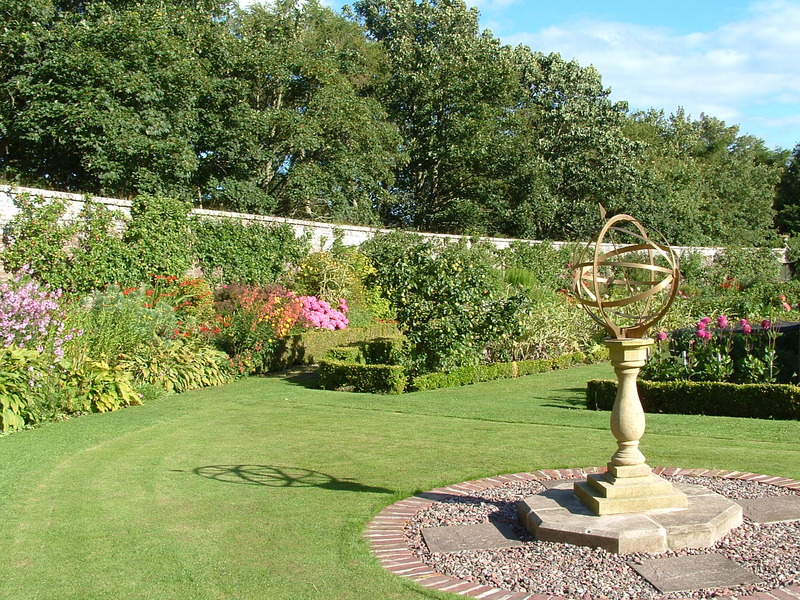 If you fancy combining some lovely gardens with a luxury place to stay, treat yourself to a visit to the House of Dun. Set in spectacular grounds, its North and South Stables were originally stable blocks now converted into beautiful apartments providing a tranquil getaway. Outside, surround yourself with woodland walks, go red squirrel and roe deer spotting, or visit nearby Montrose Basin Nature Reserve. Angus has a wide variety of places to stay, from luxury hotels to cosy B&B’s and glamping sites for lovers of the outdoors – find out more. If you’re doing a gardens tour of Angus, it’s only fitting that you eat in a place that knows its plants. Brechin Castle Garden Centre is an independent shop and coffee shop set within 70 acres of Angus parkland. The food is homemade, and you can dine inside or out. Play areas for kids include jumping pillows, go karts and sandpits. And entry is free! 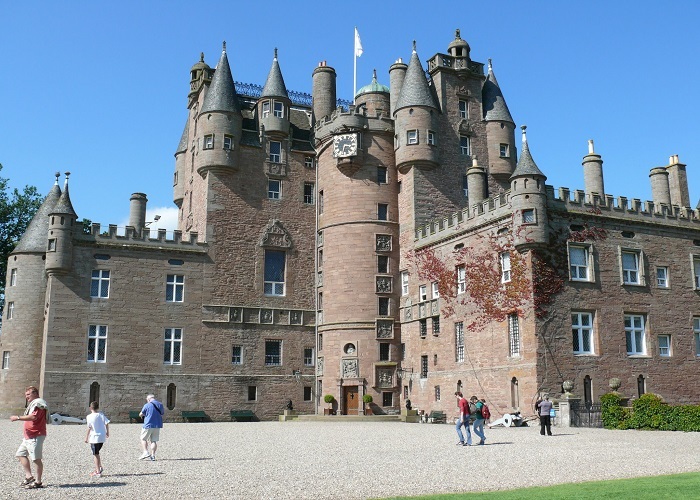 Glamis Castle offers two dining options. The Victorian Kitchen Restaurant is open for coffee, lunch and afternoon tea and catered by the award-winning Wilde Thyme, with seasonal and locally sourced ingredients including tasty picks from the castle’s own estates. The Hub serves tea, coffee, soup, sandwiches, desserts and snacks. This is only a flavour of the great places to eat and drink in Angus – find out more. 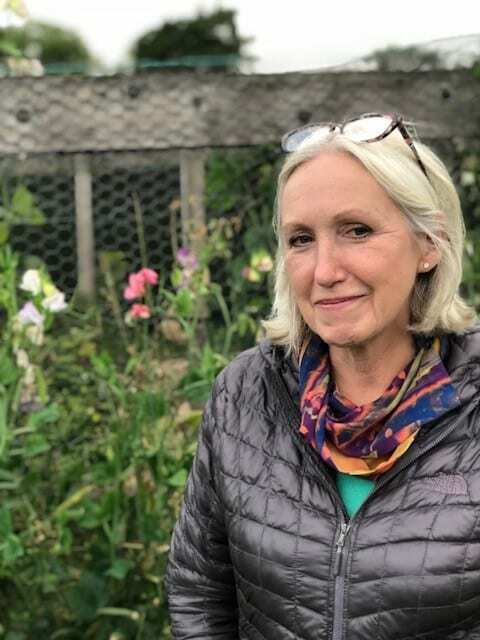 If anyone knows about the gardens of Angus it’s Terrill Dobson, who runs a The Herbalist’s Garden full of medicinal herbs on an organic farm in Kirriemuir. Terrill is also national organiser for the charity Scotland’s Gardens Scheme. And finally…if this wasn’t already enough for you, take a look at the full list of beautiful parks and gardens waiting to be discovered.